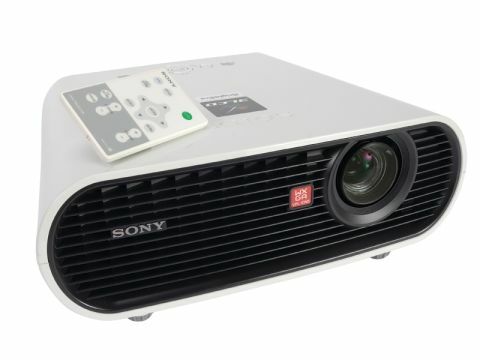 Sony is not pitching the VPL-EW5 as a home cinema model, rather it's a versatile all-rounder. But that doesn't mean it can't cope with movies. Colours are surprisingly rich and vibrant, probably even more so than some of the big-budget LCD models. Black levels aren't half bad, either, even if they do fall well short of the DLP power Optoma GT-7000. In compensation, you get a high-power lamp mode that makes this projector the most effective tool here for watching video or playing games during the day.